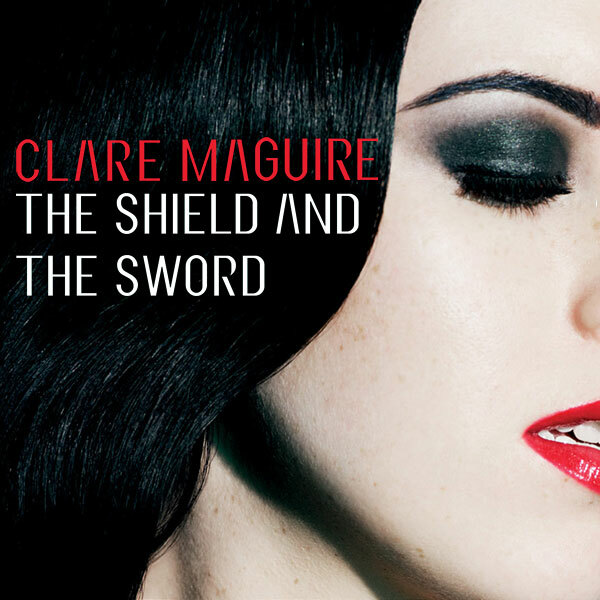 Clare Maguire To Release 'The Shield and The Sword' May 9th - Remixes by Almighty, Teengirl Fantasy, Loadstar and More! When Clare Maguire releases her new single, "The Shield and The Sword," on May 9th, we'll also be treated to some HOT new remixes of the already amazing track. The song was co-written and produced by Fraser T. Smith AND features an EPIC video directed by Hope Audikana, which you can watch below in case you missed it my original post. "The Shield and The Sword" is the third single lifted off of Maguire's Top Ten hit record, Light After Dark which debuted at #7 on the UK Albums Chart when it was released at the end of February. Maguire's last single, the equally stunning "The Last Dance" peaked at #23 on the UK Singles Chart. While she's expected to release her album stateside until later this year, U.S. fans can download her first two singles on iTunes HERE. Clare Maguire recently completed her first UK headlining tour (March 31 - April 14) and is scheduled to make appearances at a bunch of UK festivals this summer, including Glastonbury, V Festival, Camp Bestival, Bestival, Evolution Festival and the Isle of Wight Festival. To celebrate the UK release of "The Shield and The Sword," Polydor will be releasing some official remixes of the track. This wouldn't be the first time Maguire's been remixed, her first single "Ain't Nobody" was remixed by Breakage (with whom Maguire will be performing with at Glastonbury) and "The Last Dance" received some amazing mixes by Chase & Status, Danny Byrd, Kris Menace and Neon Lights. Remixing "The Shield and The Sword" we have Almighty, Amateur Best, Loadstar and Teengirl Fantasy. Check out the Loadstar Mix above for your first taste at what these amazing mixes sound like and get ready to hear the rest of them when the single is released on May 9th in the UK. On June 5th, English rapper/singer Example (AKA Elliot John Gleave) will release his 9th single, the electro-charged "Changed The Way You Kiss Me." Produced by Michael Woods, "Changed The Way You Kiss Me" is the first single from Example's forthcoming darker-sounding third album, Playing In The Shadows due out this Fall on dance label Ministry of Sound. The album features production from Michael Woods, Faithless, Nero, MJ Cole, Skream, Dirty South, Chase & Status, The Brooks Brothers, Funkagenda and Feed Me. "Changed The Way You Kiss Me" debuted on BBC Radio 1 in late March, where Zane Lowe dubbed it as the "Hottest Record In the World." Since then the song has also received massive support from Annie Mac and Nick Grimshaw, as well as reaching #1 on HypeMachine nearly immediately after it leaked. IMPRESSIVE indeed. As if one hot new single wasn't enough, you can also catch Example featured on Wretch 32's hit single, "Unorthodox" which is currently sitting pretty at #2 on the official UK Singles Chart as well as on Giggs' track "Look Over Your Shoulder." On the live show front, Example is keeping busy, making festival appearances all over the UK and Europe including Wireless, Lovebox, Big Chill, V2011, Creamfields and a headlining gig at Ibiza and Majora Rocks. Download "Changed The Way You Kiss Me" on June 5th with remixes from Steve Smart, Kris Menace, Mensah & Tom Starr. Check out the Kris Menace up top and the video for the single below! U.S. fans check out some of Example's back catalog on iTunes HERE. Folks, we have another HOT ONE on our hands! One of my favorite promising new talents, Neon Hitch, dropped a new track on her official SoundCloud page. Written by Hitch, co-written by Switch and produced by Benny Blanco the auto-tuned-to-holy-hell, dub step-infused "Silly Girl" sounds like something off of Robyn's Body Talk album, and I'm not talking about discarded trash that didn't make the final cut. This is serious! 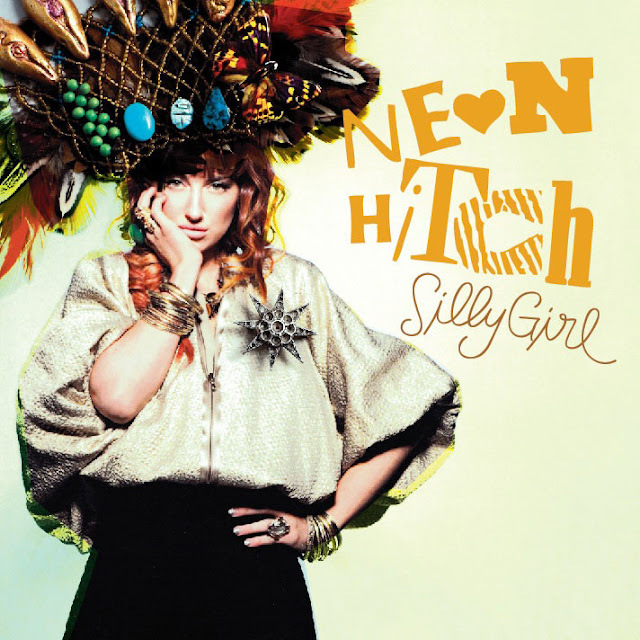 Listen to "Silly Girl" below and prepare to fall in love (again) with Neon Hitch. Oh and if you happened to be living under a rock when I did my last post on Hitch, check it out HERE and watch the video for Hitch's first single (co-written by Sia) "Get Over U," which is available on iTunes for download. Hitch is signed to Warner Brothers Records/Reprise Records and plans to release her debut album, Beg Borrow and Steal sometime this year. P.S. - Watch the lyric video for Sky Ferreira's "Traces" which I posted recently. Neon Hitch co-wrote that song, available on Ferreira's EP, As If. EEEEEEEEE! How excited am I? It's the eve before I see her royal Goddess, Ms. Kylie Minogue LIVE for the second time. Back during her 2009 U.S. tour, I flew home to Chicago to see her and tomorrow night, she's making an appearence in Boston, so I don't even have to travel. AMAZING! When I bought tickets to see Kylie's last tour, I knew she was going to be amazing but I had NO IDEA just how amazing. She is the consummate performer. She is a joy to watch, a joy to listen to and what's more, the girl can actually sing live - while dancing! The show was such a spectacle, I'm finding it hard to imagine just how she's going to top herself this time. Kylie kicked off her North American tour on Thursday in Montreal and heads to Boston tonight for her first U.S. gig this year. The Aphrodite - Love 2011 World Tour will be Kylie's most extensive U.S. tour to date, seeing the pop pixie playing 16 shows including a 3-night stint at the prestigious Hammerstein Ballroom in New York City, not to mention a return to the Hollywood Bowl in LA. Kylie will close her epic tour in an epic way, playing at Colosseum at Caesar's Palace in Las Vegas. After the North American tour is over, Kylie will bid America adieu and head home to Australia and to South Africa to continue on with the international tour. I'm so excited, I can hardly contain myself! To help celebrate this momentous tour, Kylie's U.S. label, Astralwerks Records will release a new digital EP - North American Tour Bonus Edition - on May 3rd, featuring five live recordings. Three of those recordings were taken from Kylie's semi-acoustic BBC Live Lounge session, where Kylie sang "Can't Get You Out Of My Head," "All The Lovers" and "Get Outta My Way." The other two tracks - "Better Than Today" and "Confide In Me" - were recorded in New York City back in October 2009 during Kylie's last U.S. tour. The EP will also feature a short film featuring behind the scenes footage of Kylie on tour as well as original tour wardrobe sketches by Dolce & Gabbana. As if this live EP wasn't enough to salivate over, Kylie will be releasing a new remix EP for the Starsmith/Stuart Price-produced, "Put Your Hands Up" on May 31st, featuring remixes from Pete Hammond, among others yet to be announced. Check out the remix below, which Kylie released as a show of appreciation to all of her European fans who came to see her on tour. Aphrodite came out in America in July of last year and proceded to go all the way to #19 on the Billboard 200 chart, becoming her highest charting album in the U.S. Additionally, the album has scored three consecutive #1 songs on the Billboard Club Chart with “All The Lovers,” “Get Outta My Way” and “Better Than Today.” According to her press release, Kylie became "the first artist in the nearly 35-year history of the chart to claim two out of the top three songs on the chart when “Better Than Today” held the top spot and Taio Cruz’s “Higher” featuring Travie McCoy and Kylie ranked #3." Brilliant. The latest single lifted from Aphrodite, “Better Than Today” is Kylie’s 6th career #1 on the chart. I am beyond excited to see Kylie doing so well here in America AND beyond excited to see her live for the second time. Here's hoping she makes it back for a third. Check out a list of her tour dates below and make sure you grab tickets if you haven't already! Download all things "Kylie" on iTunes HERE.